MalAcetic Conditioner is formulated for dogs and cats. This conditioner is a leave-on that works to combat bacterial or fungal skin conditions. It does not contain alcohol or PEG (polythylene glycol) which may irritate or damage the skin. MalAcetic conditioner has healing, soothing effect and leaves your pet's hair clean, soft and lustrous. This can be used after bathing or between baths. 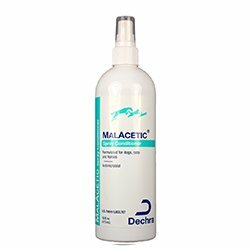 MalAcetic Conditioner features the same active ingredients as MalAcetic Shampoo but also includes linoleic acid from safflower for a glossy coat. Ingredients in this are antimicrobial and aids in moisturizing, repairing and restoring your pet's skin. Wonderful product! I spread this all over my kitty’s body after her bath and it was perfect. It tamed her coat and made her hair smell great. It also helped with her itchy skin. I will definitely purchase this product again. Highly recommended! would recommend this conditioner for silky and shiny hair of your pooch. 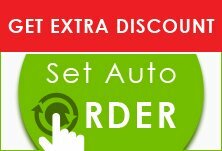 Ordered second one and happy to get discounts. Works well, and cheaper than the vet.